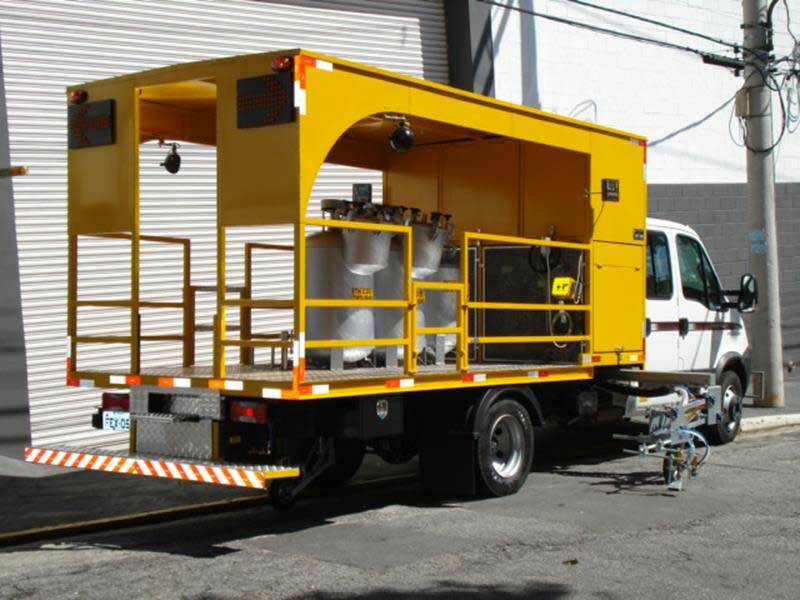 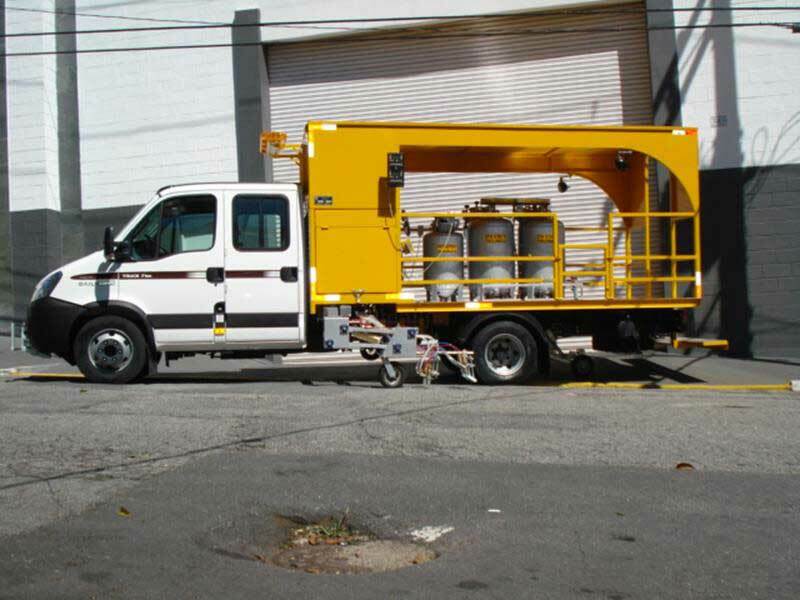 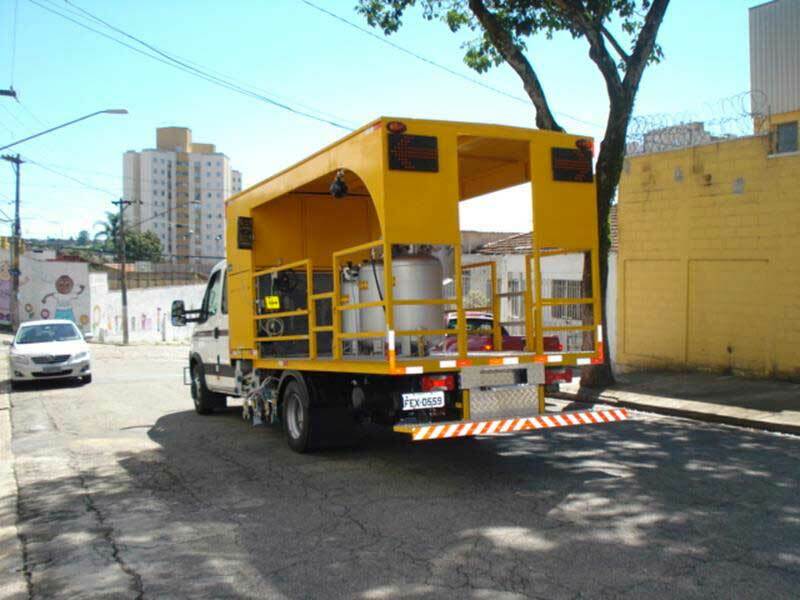 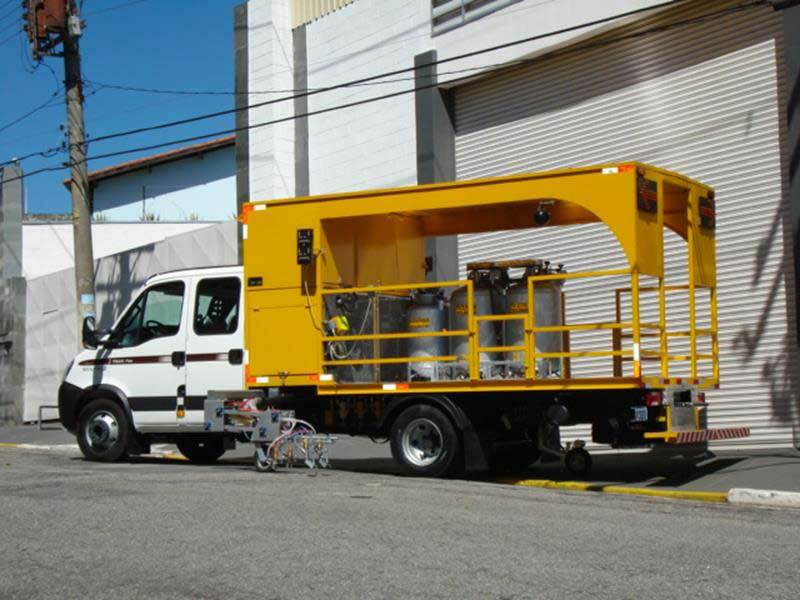 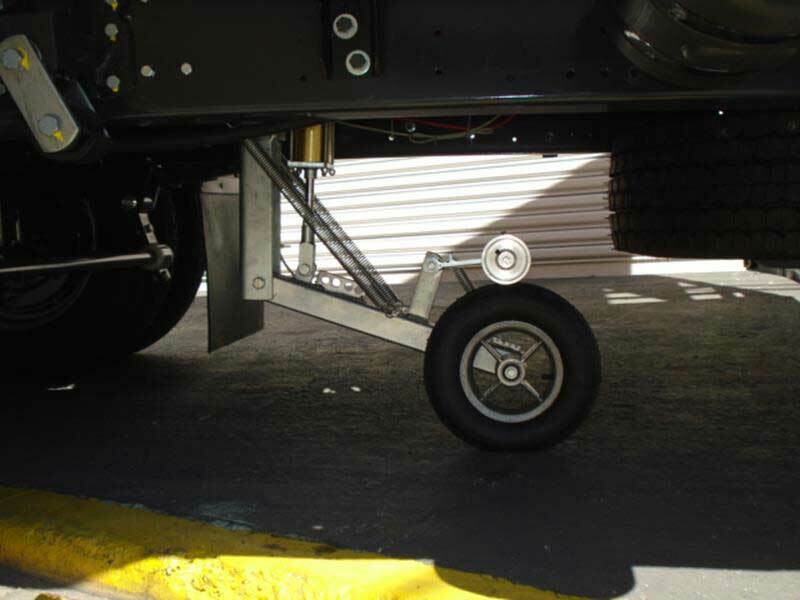 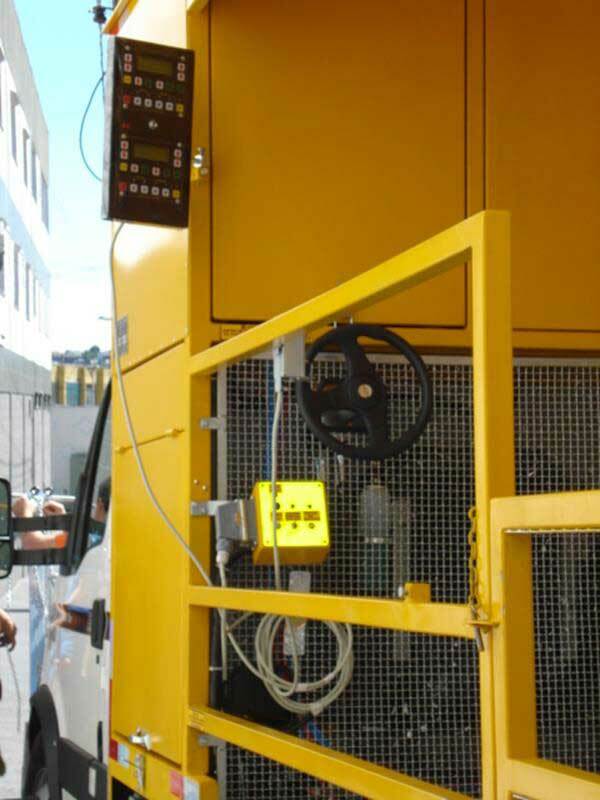 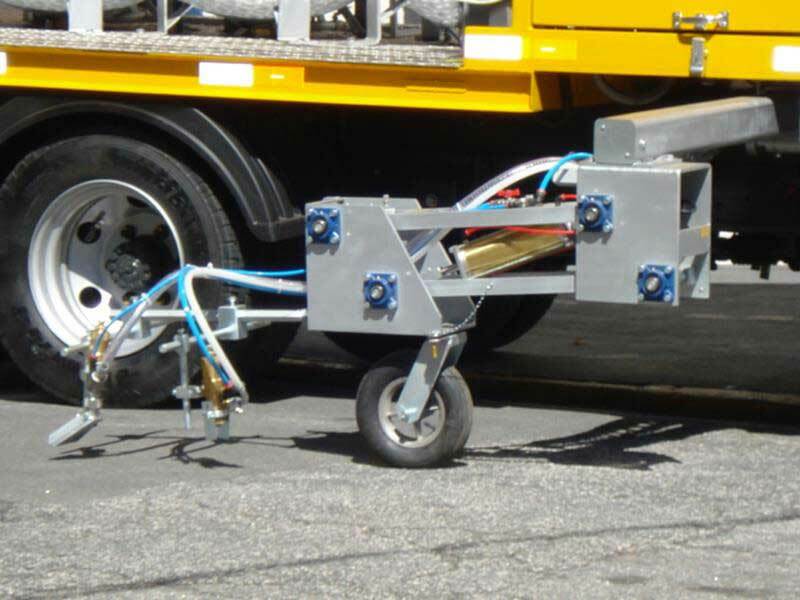 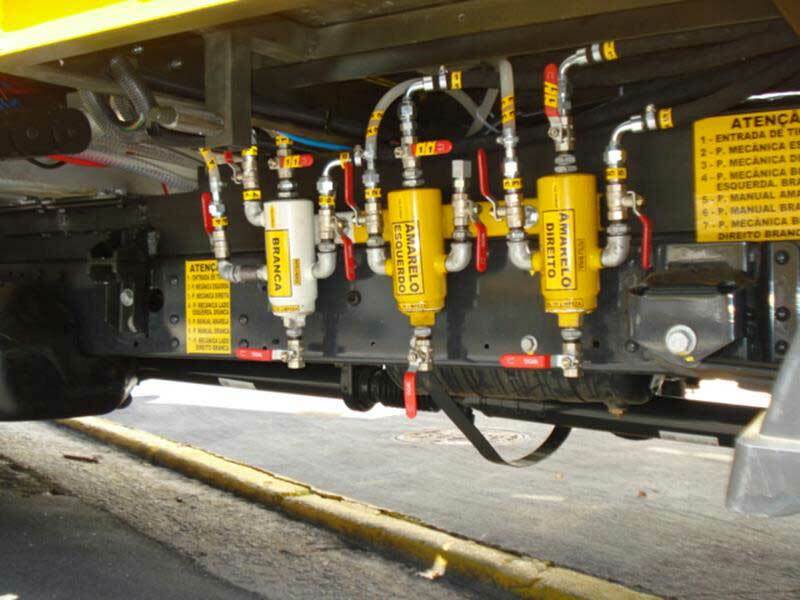 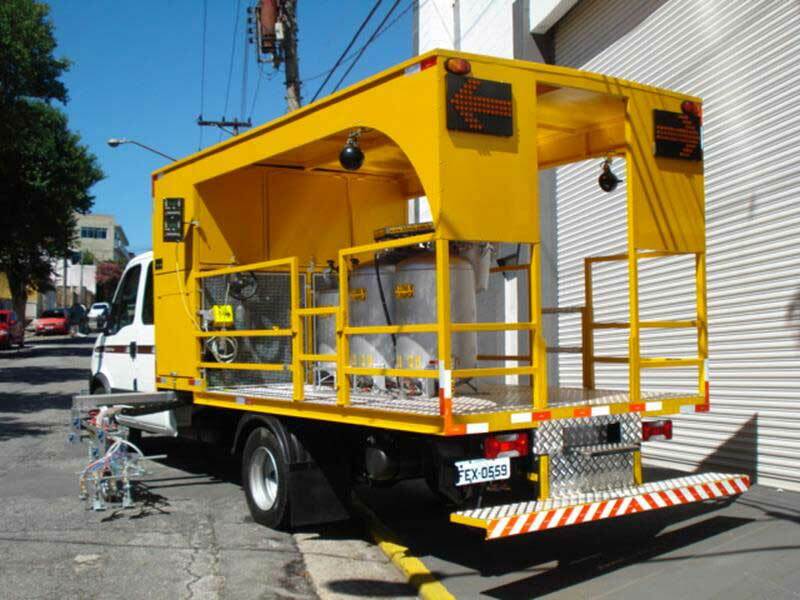 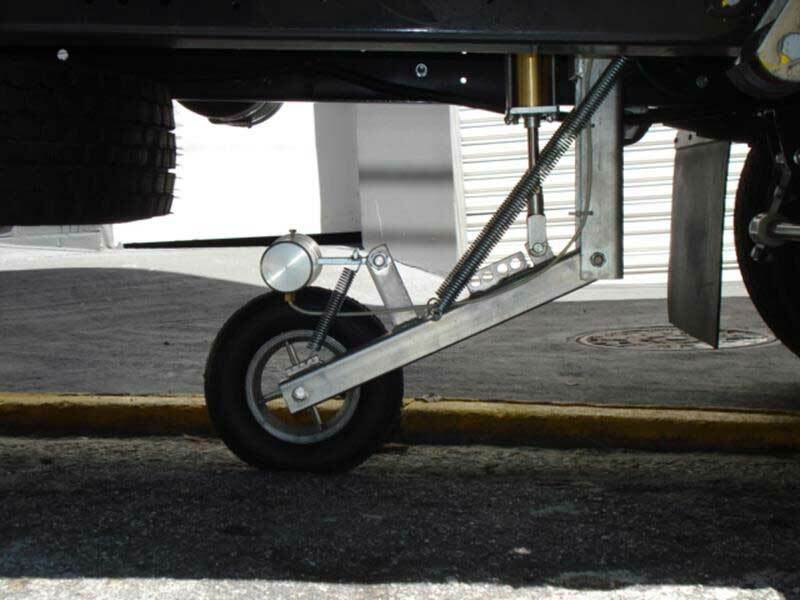 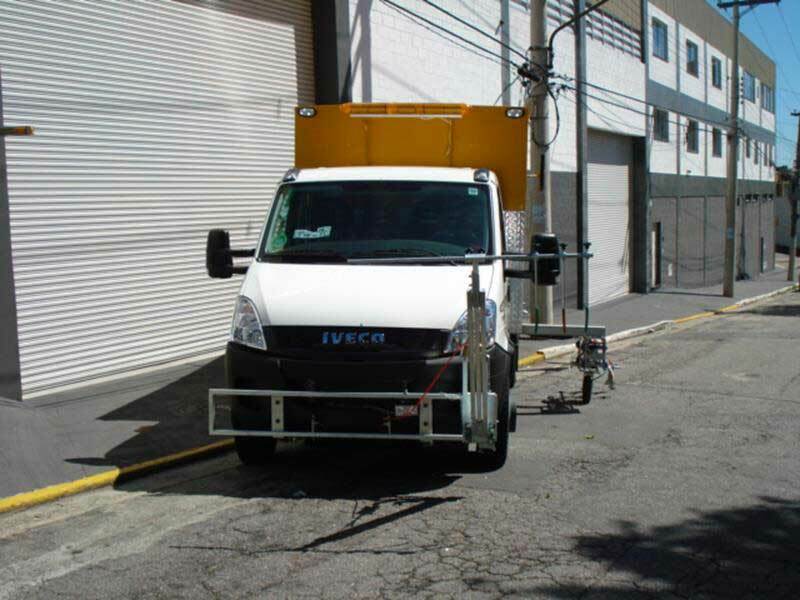 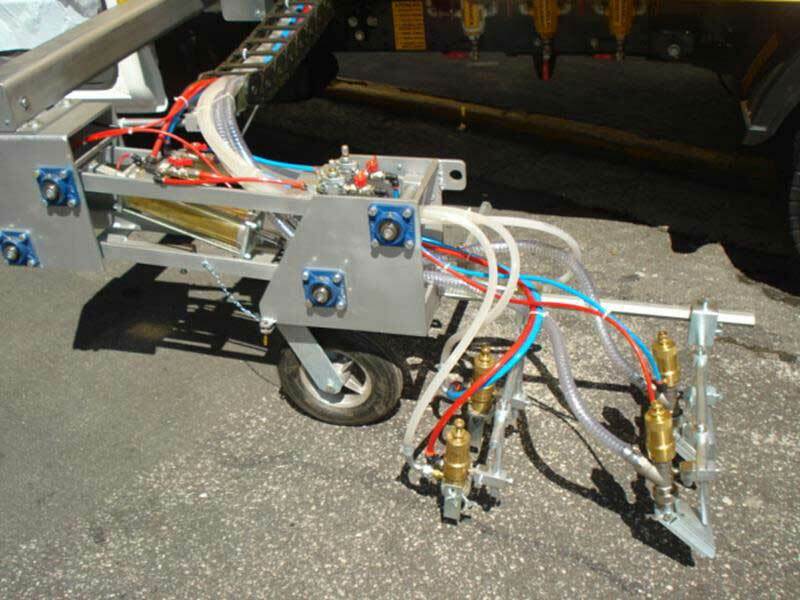 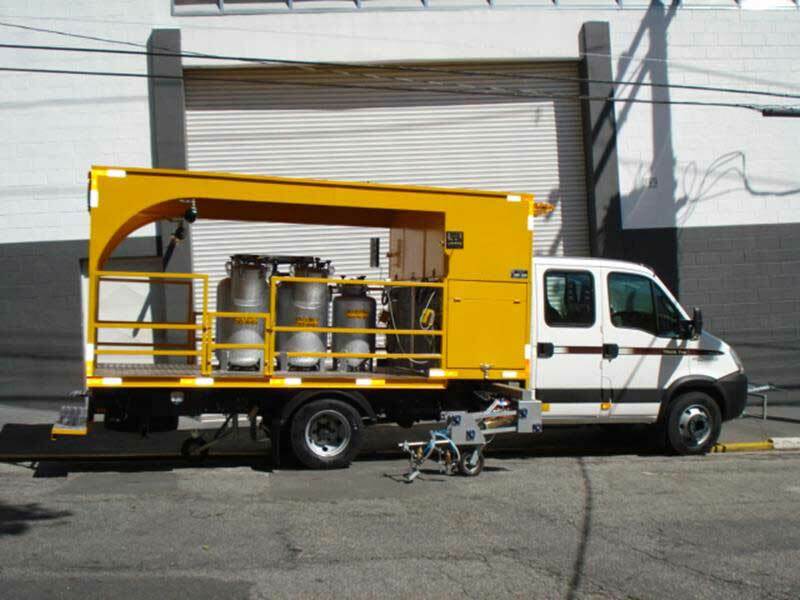 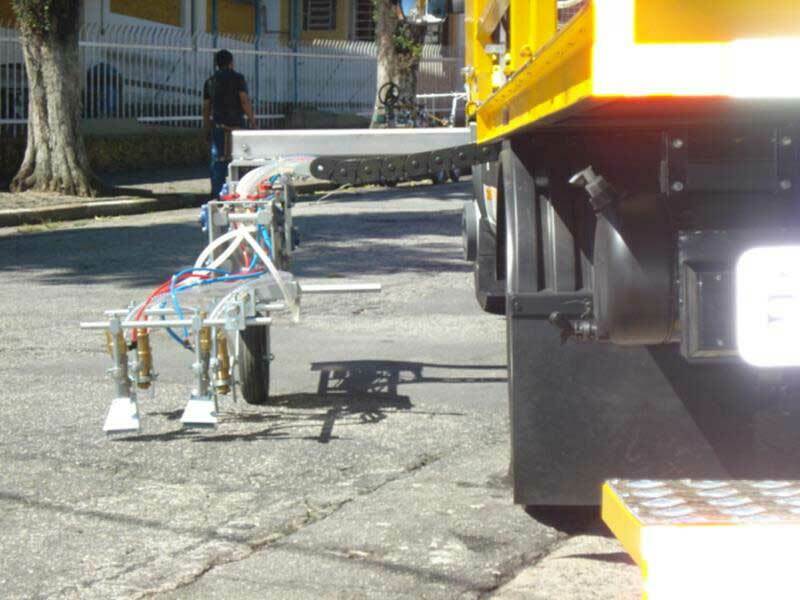 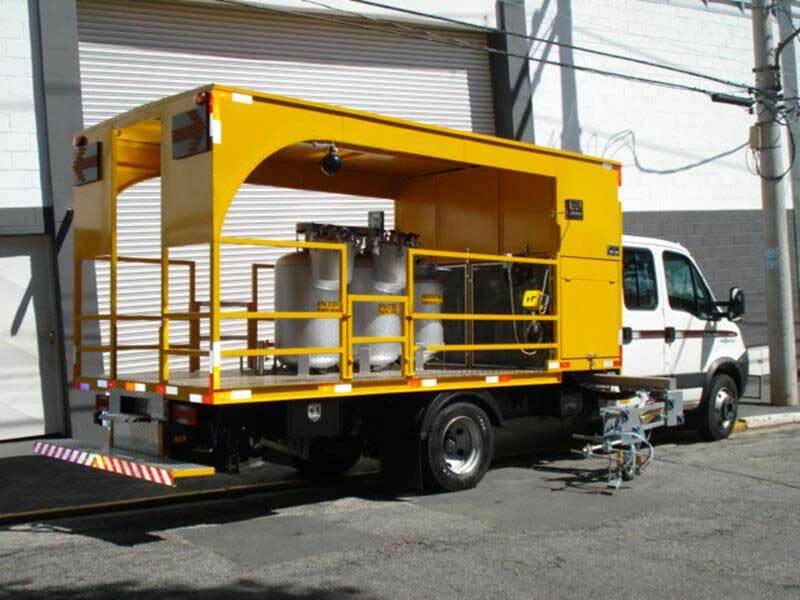 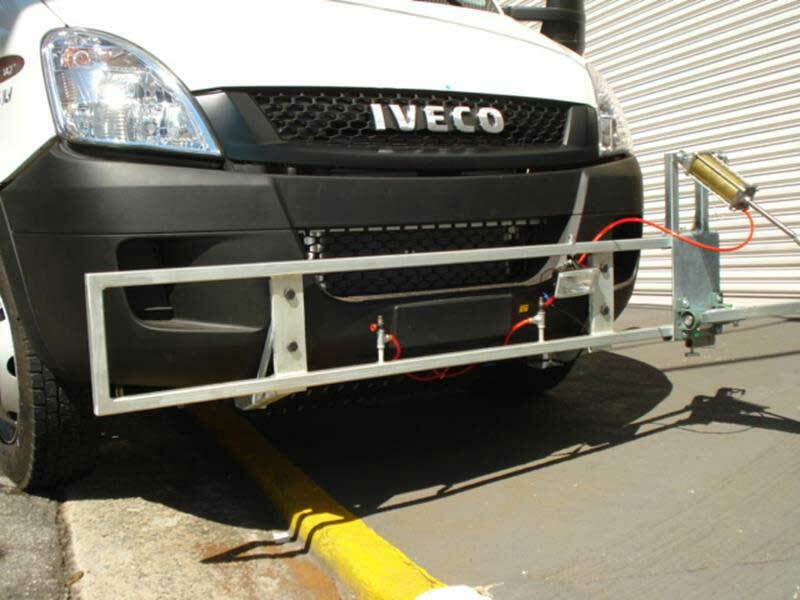 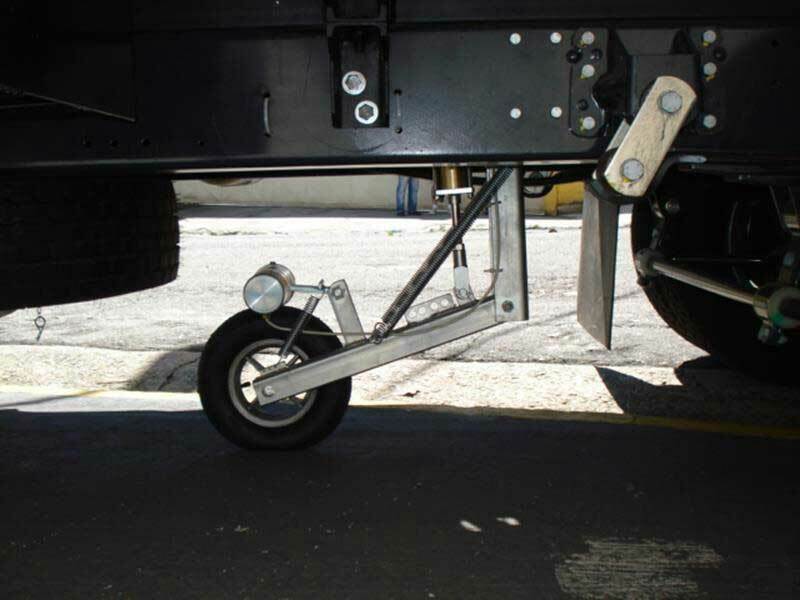 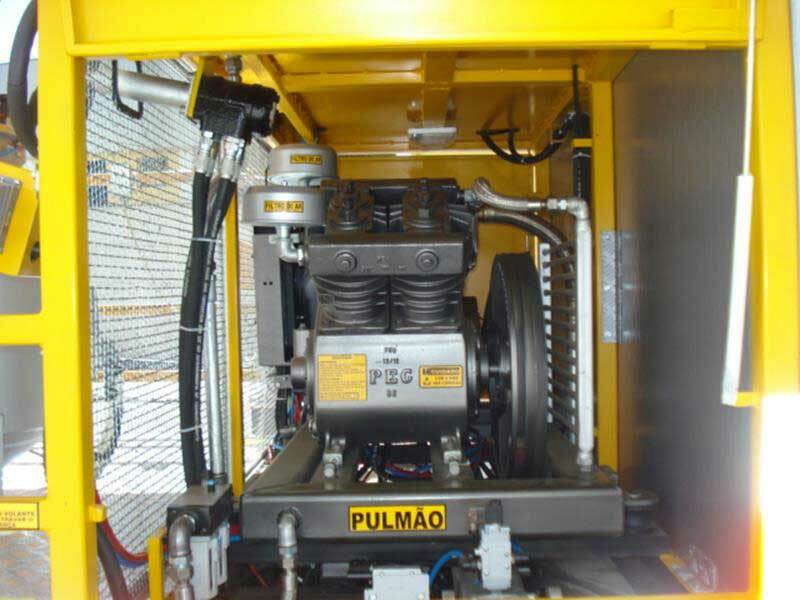 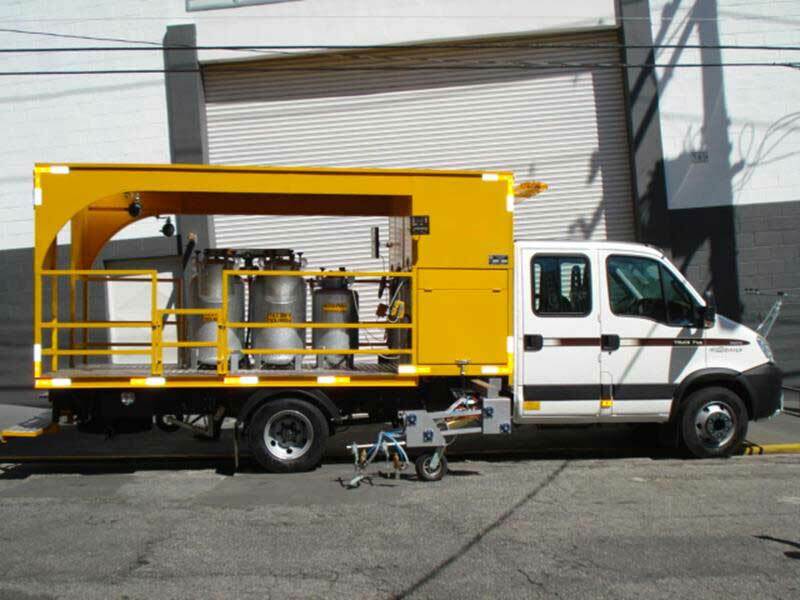 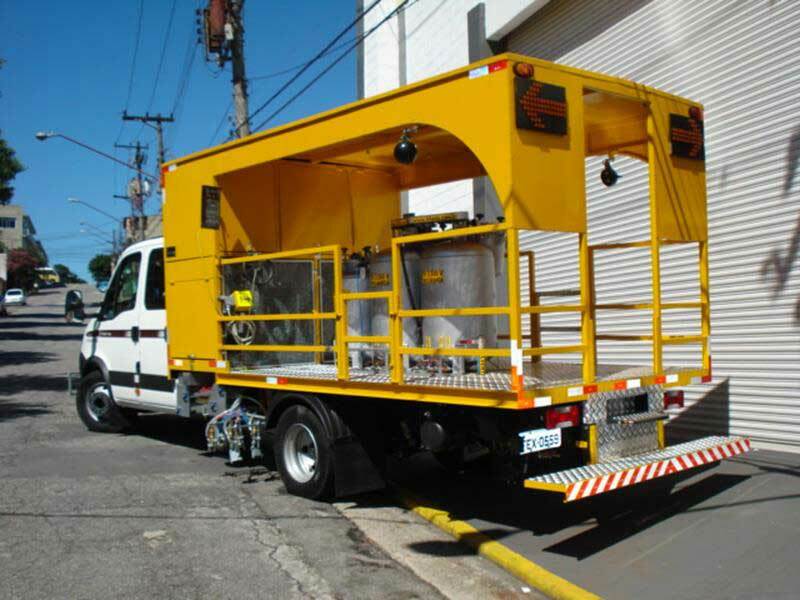 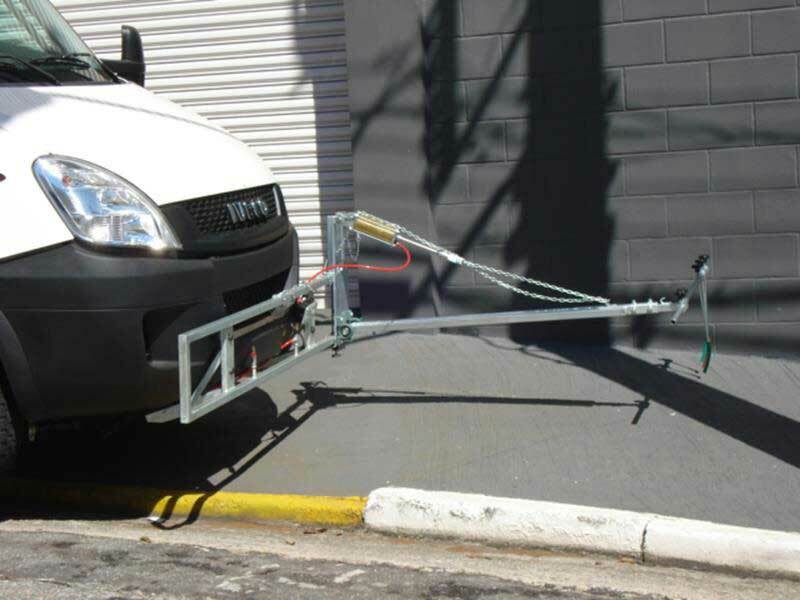 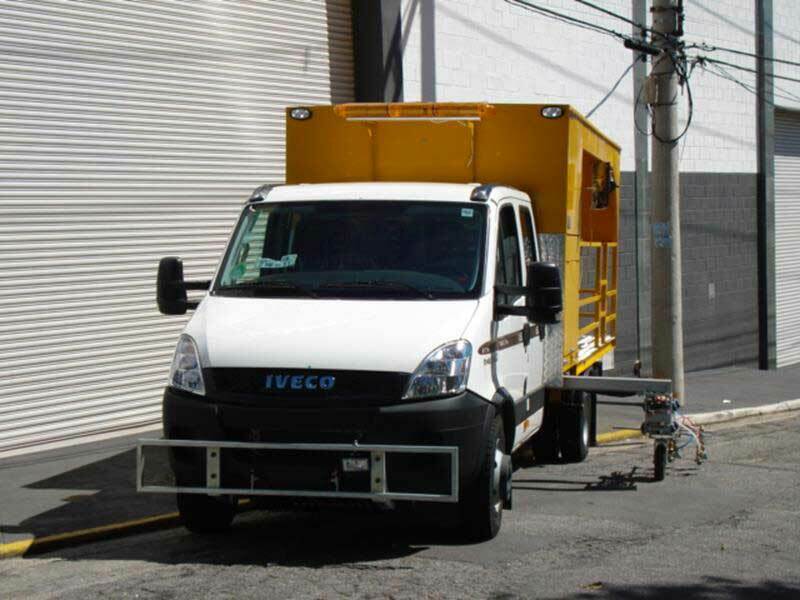 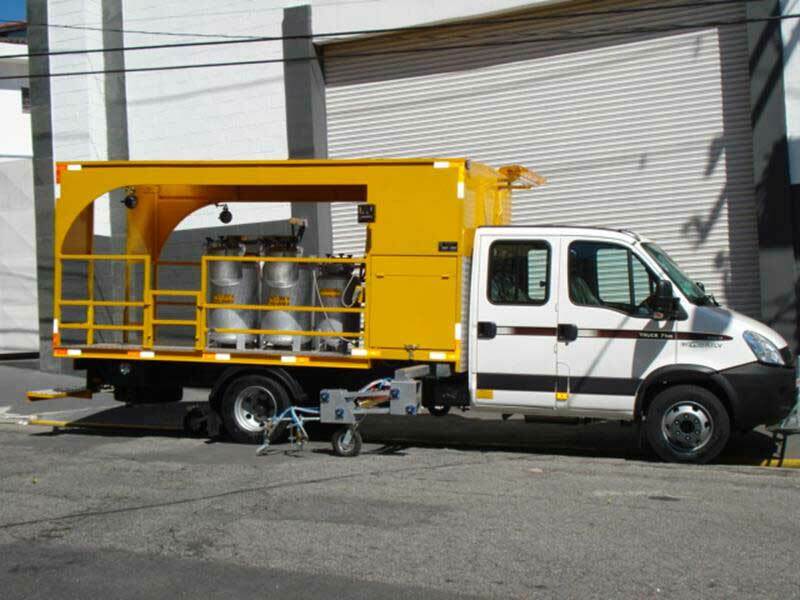 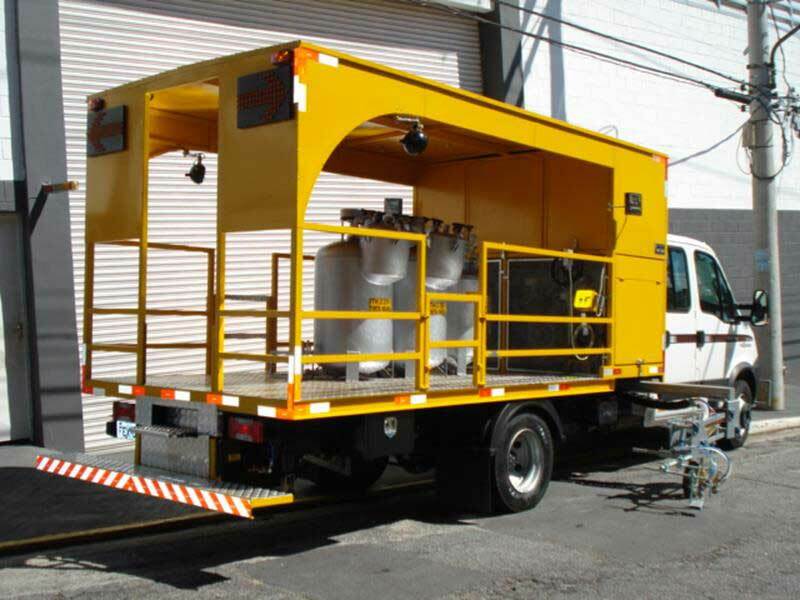 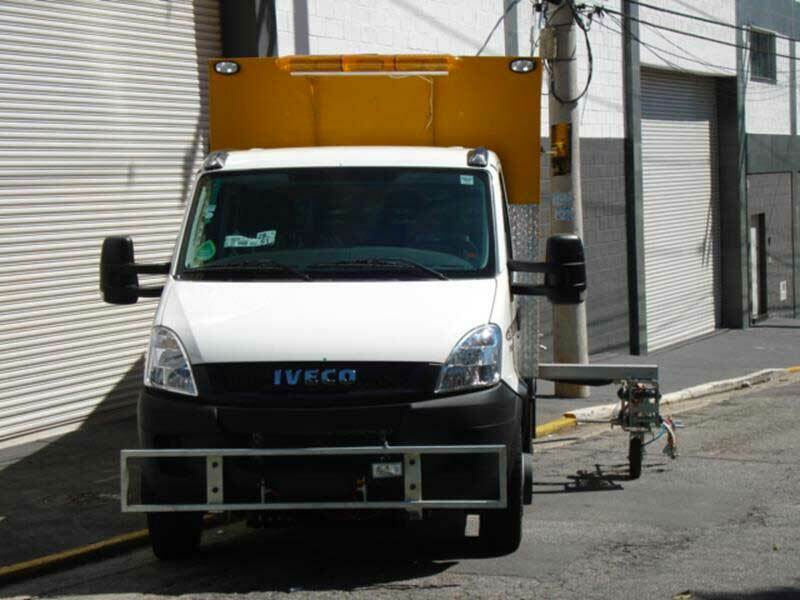 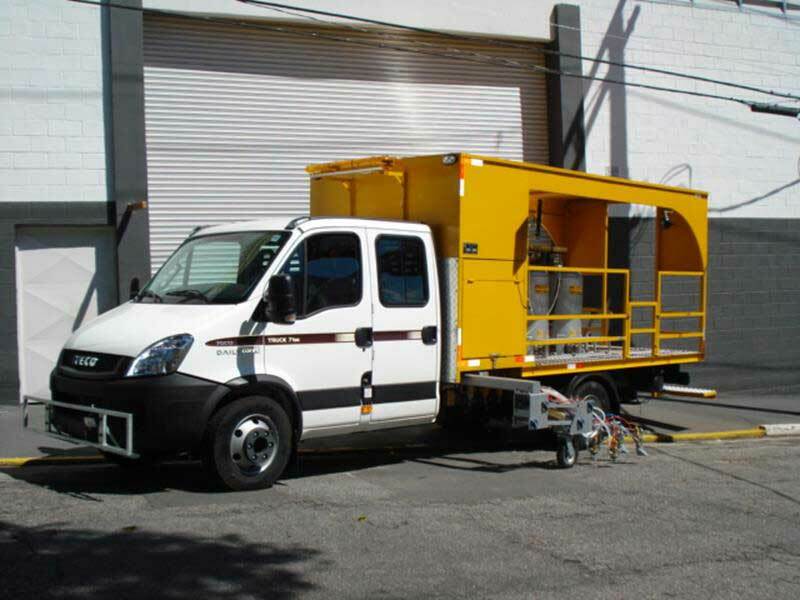 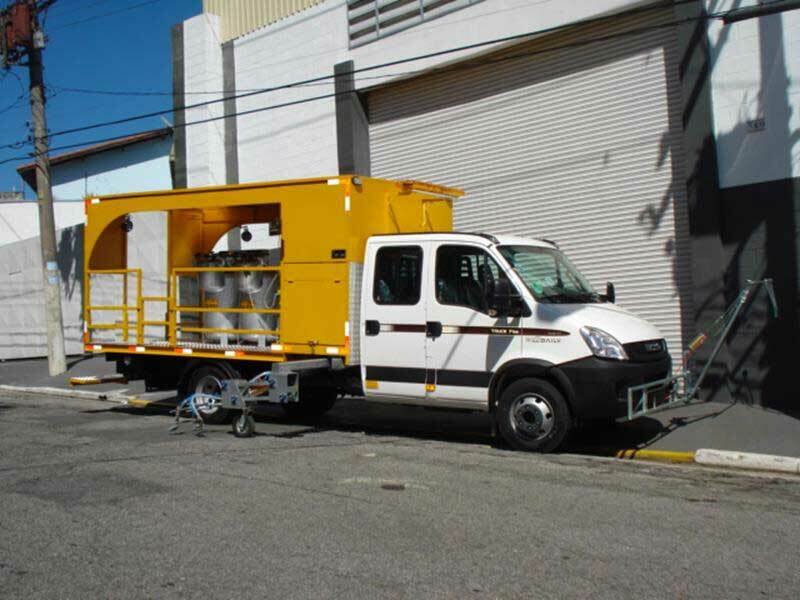 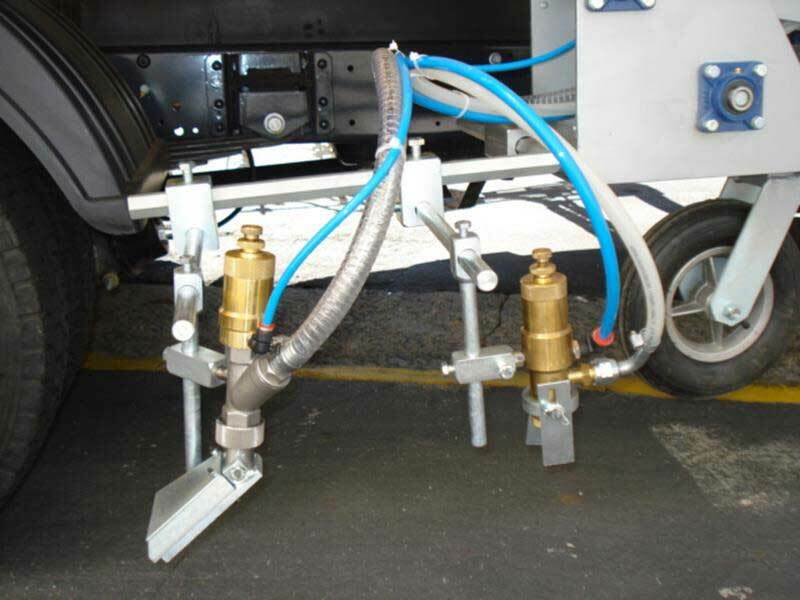 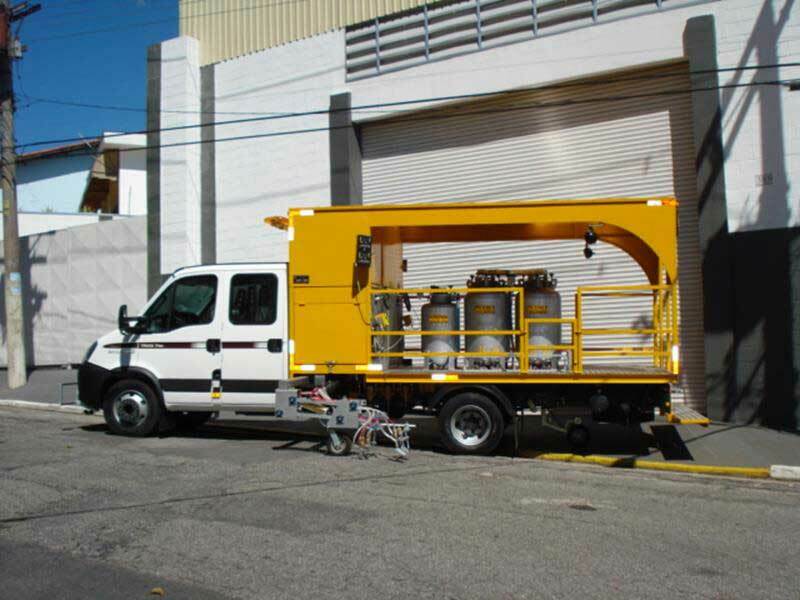 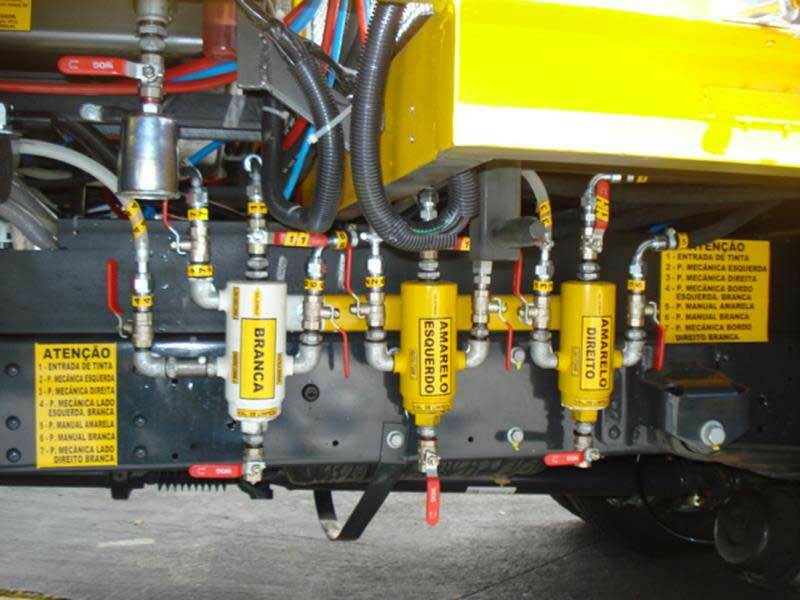 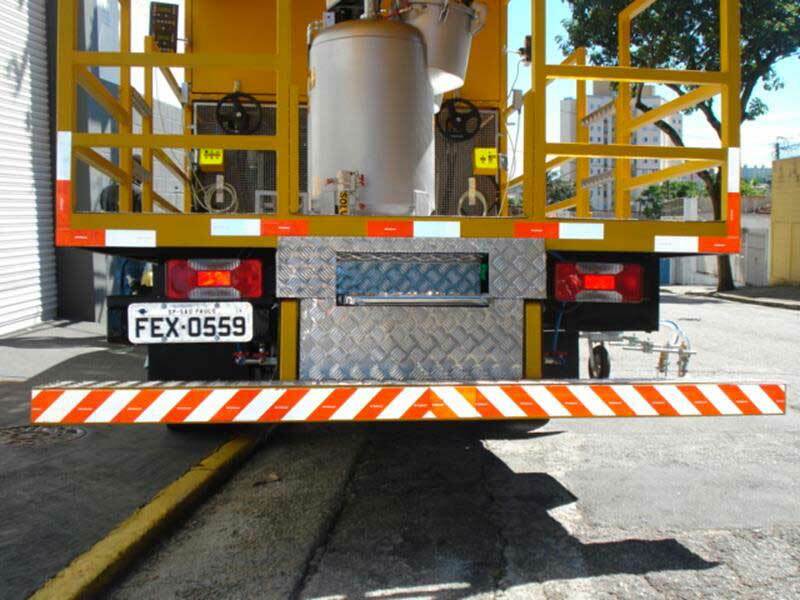 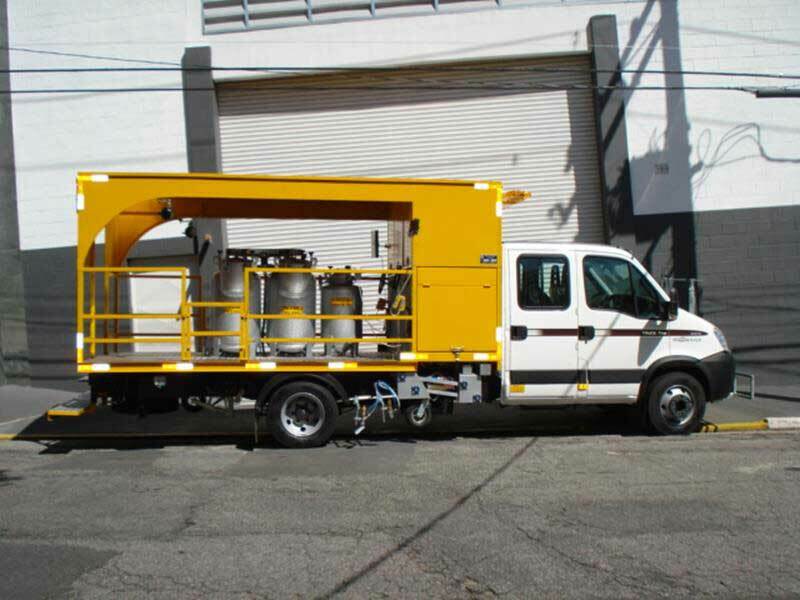 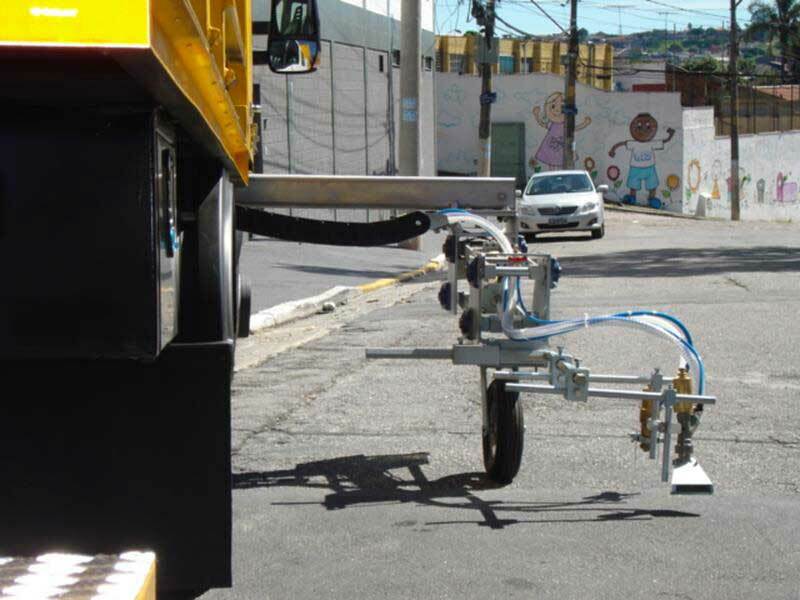 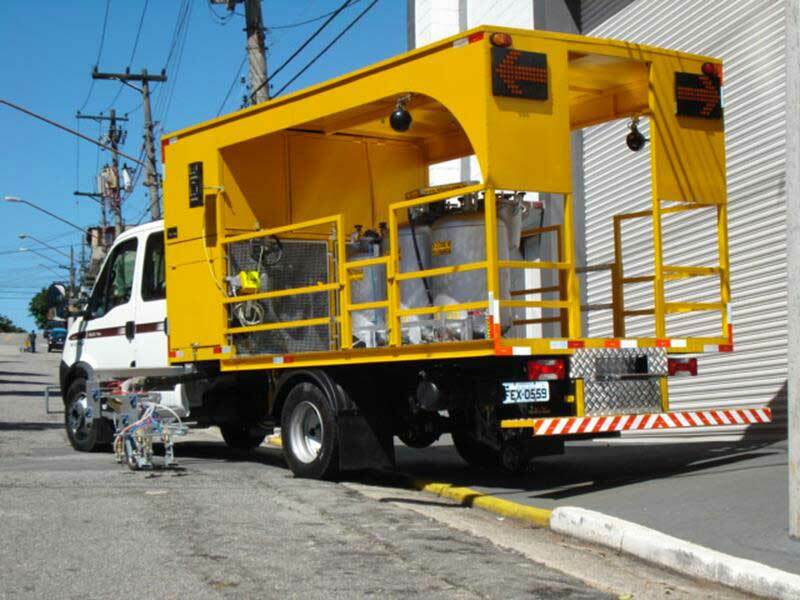 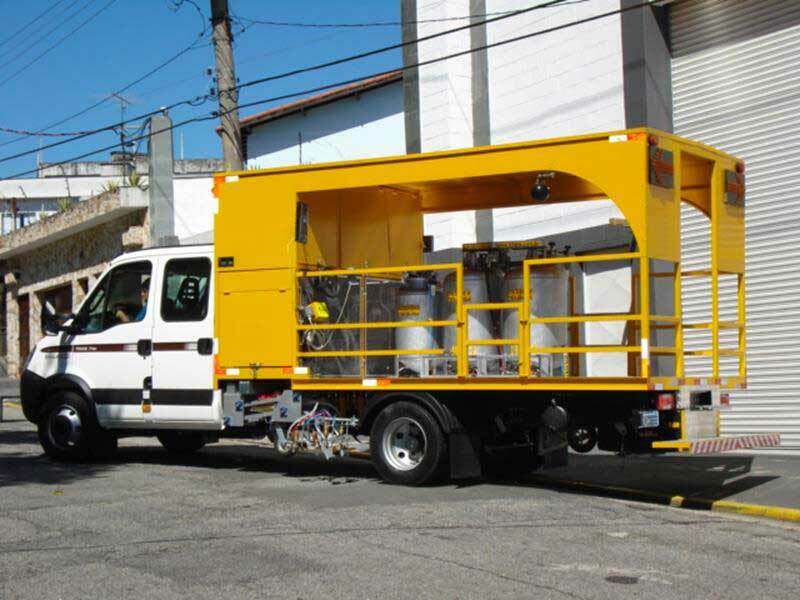 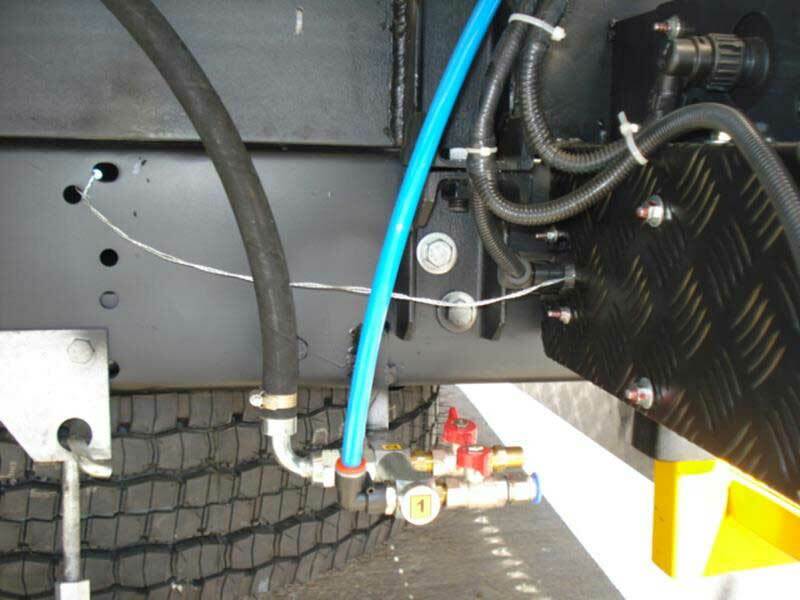 Mounted on truck chassis Iveco Daily or similar, with wheelbase of 4350mm. 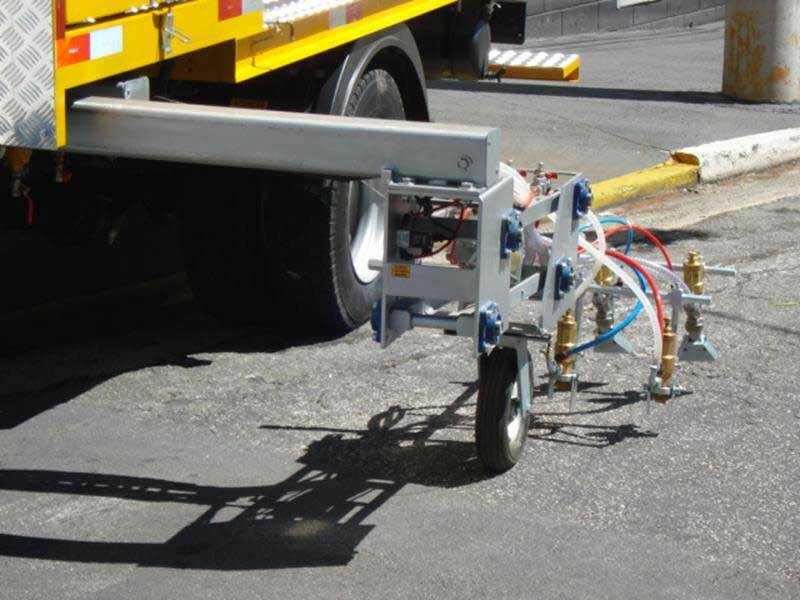 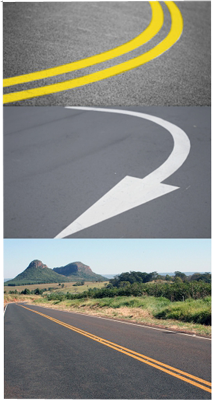 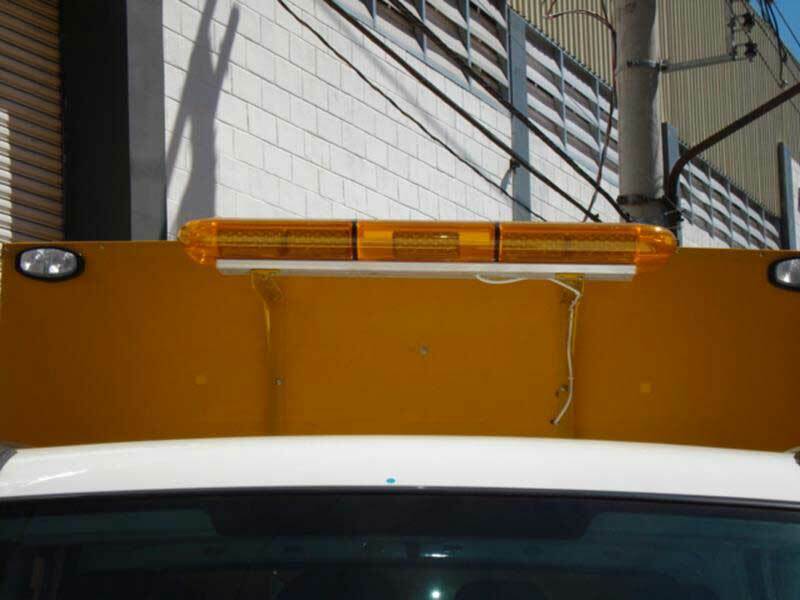 Equipped for demarcating of traffic lanes, simultaneous application of cold paint (including water based) and glass bead, able to demarcate both continuous and interrupted strips of shaft or board. 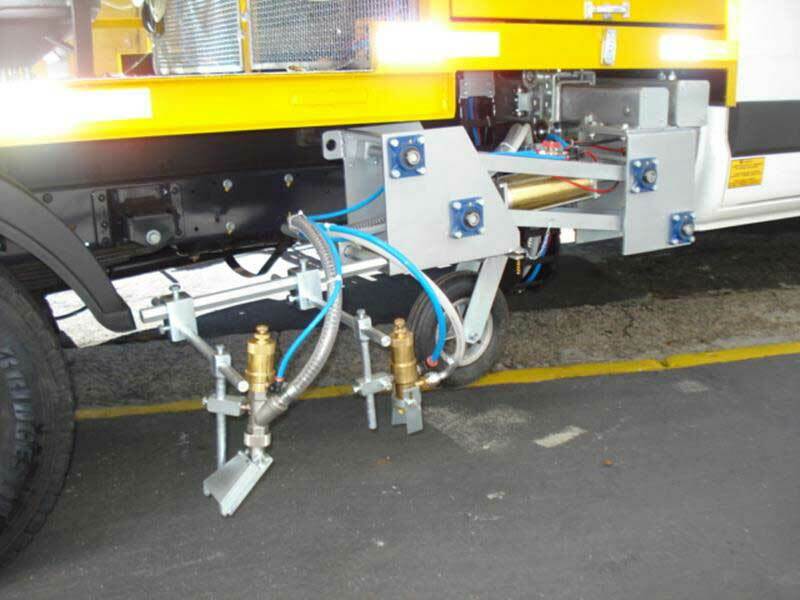 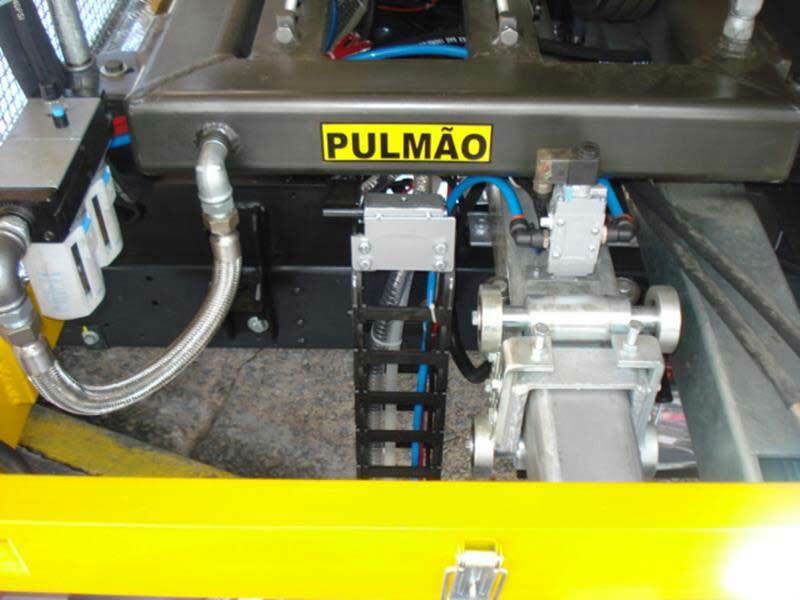 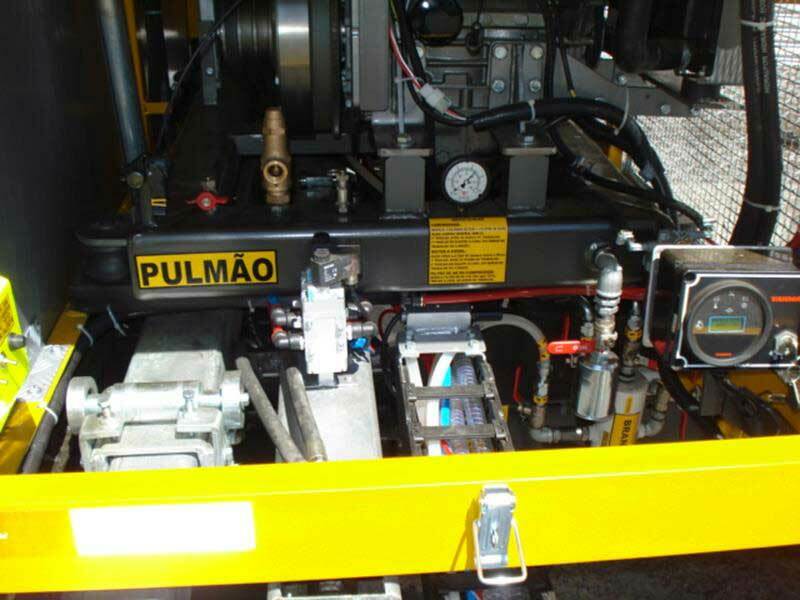 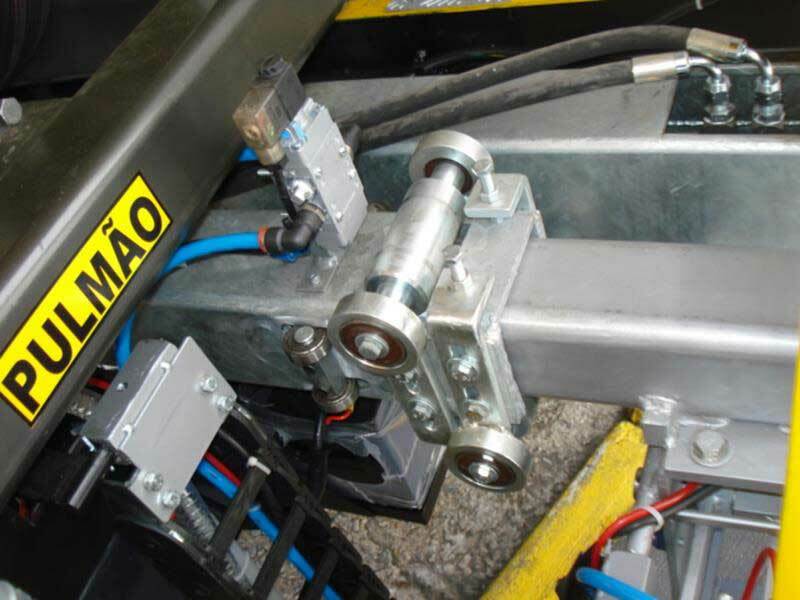 The sets of Ink painting are mounted on pantograph cars with two (2) guns left and one (1) gun right, allowing operation always in the direction of the track of the operating hand crawlers for support of hoses. 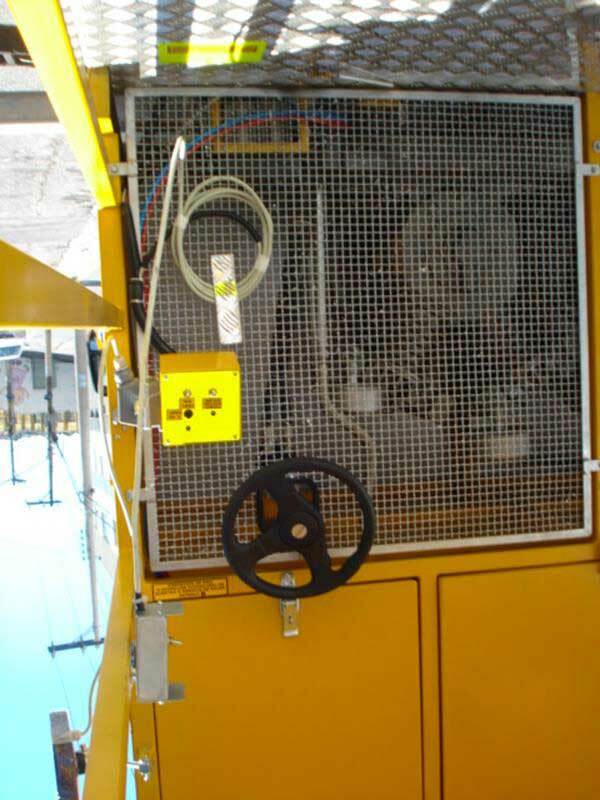 Vertical movement to raise and lower the painting together through pneumatic system. 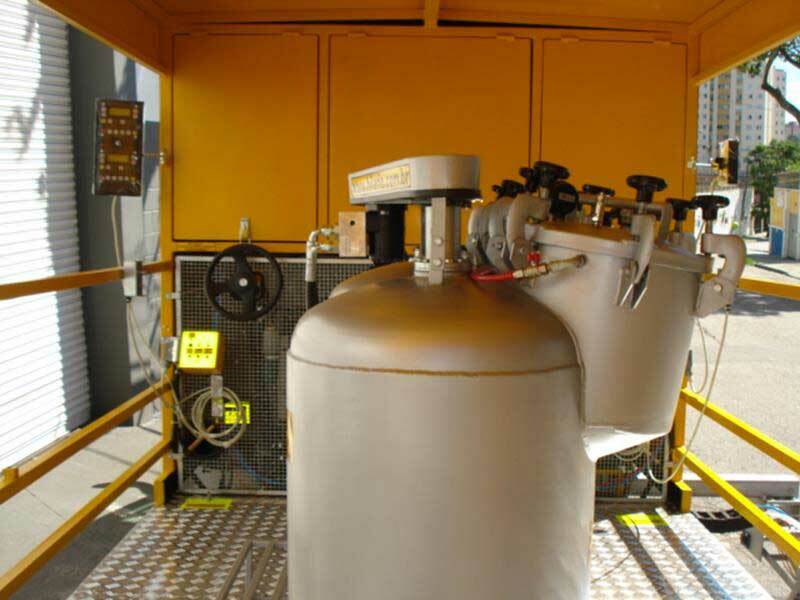 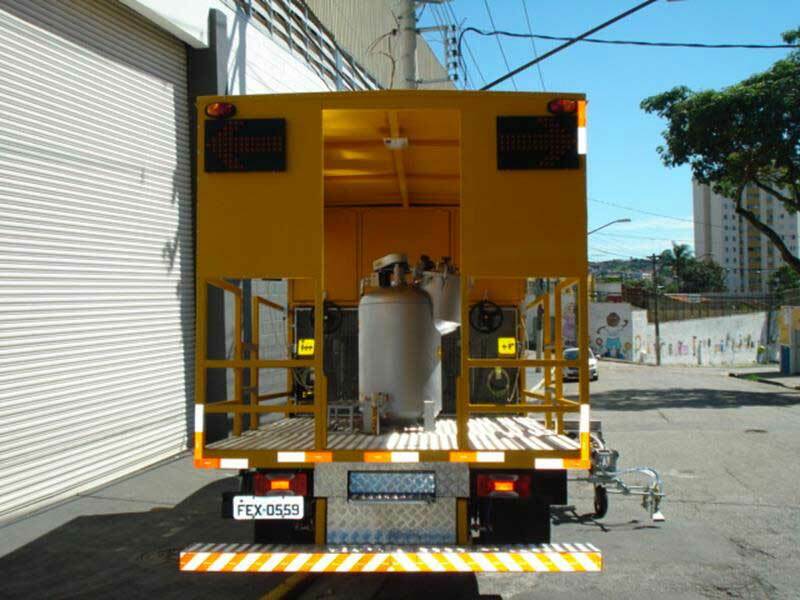 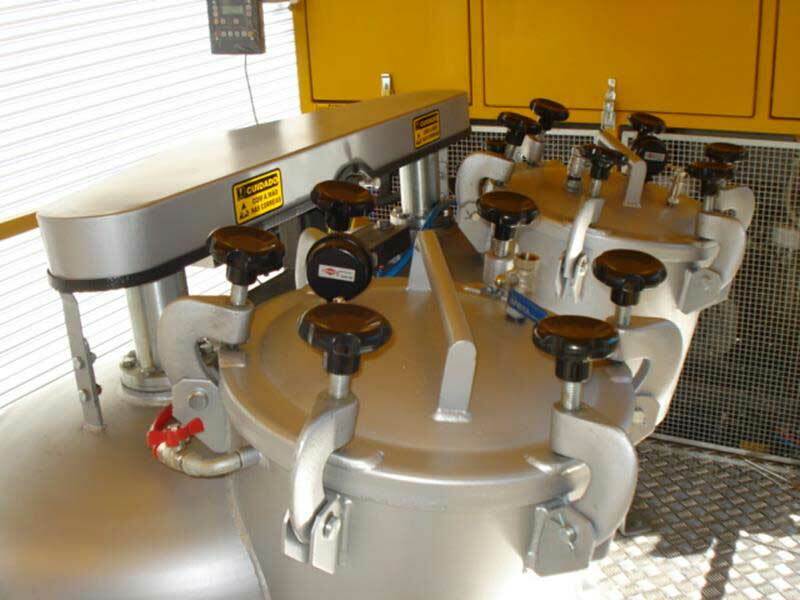 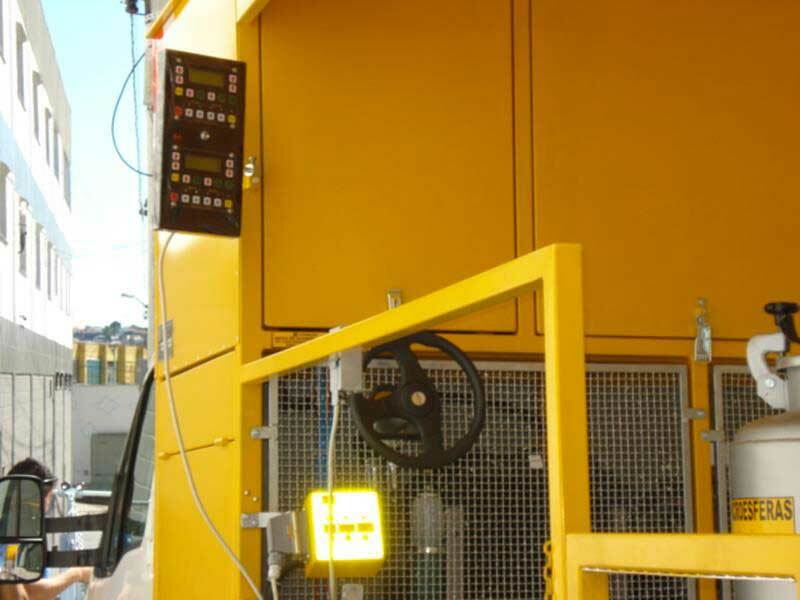 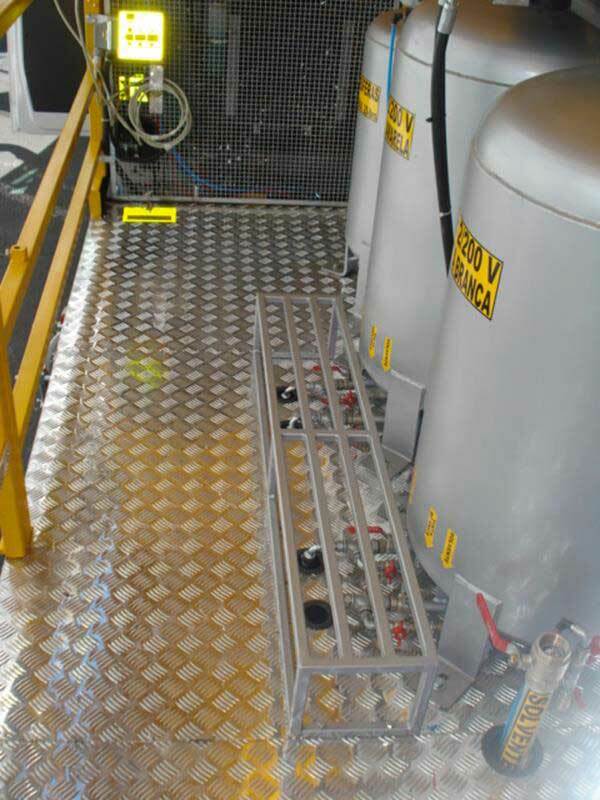 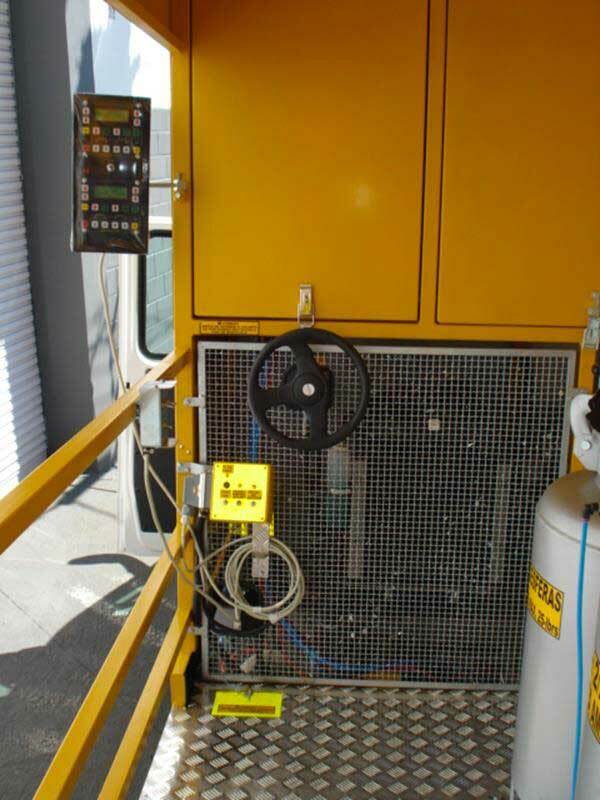 It has two (2) stainless steel tanks with capacity of 200 liters each. 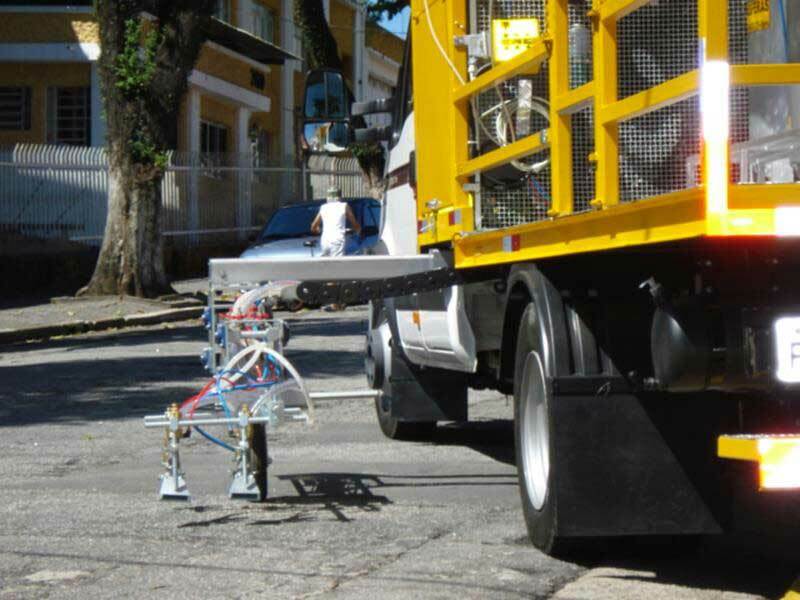 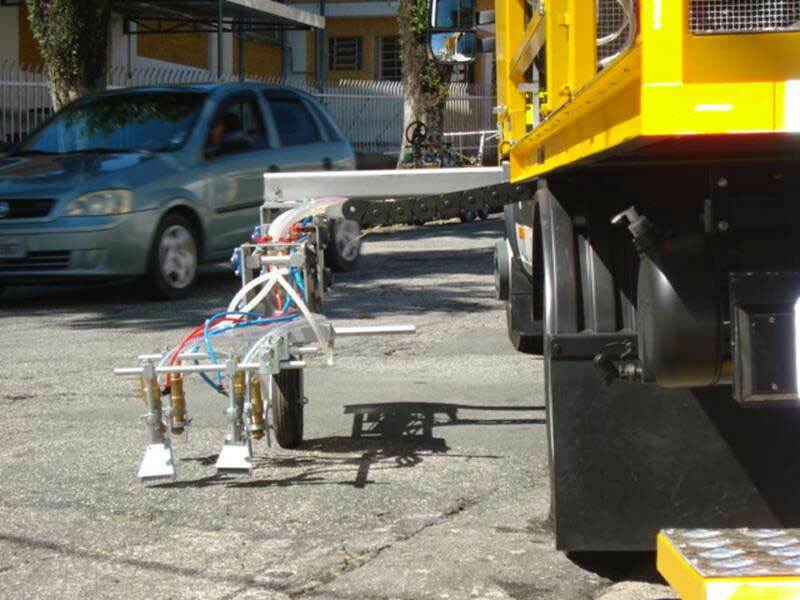 Its autonomy is about 8km from painting with 10cm range (equivalent 800m²). 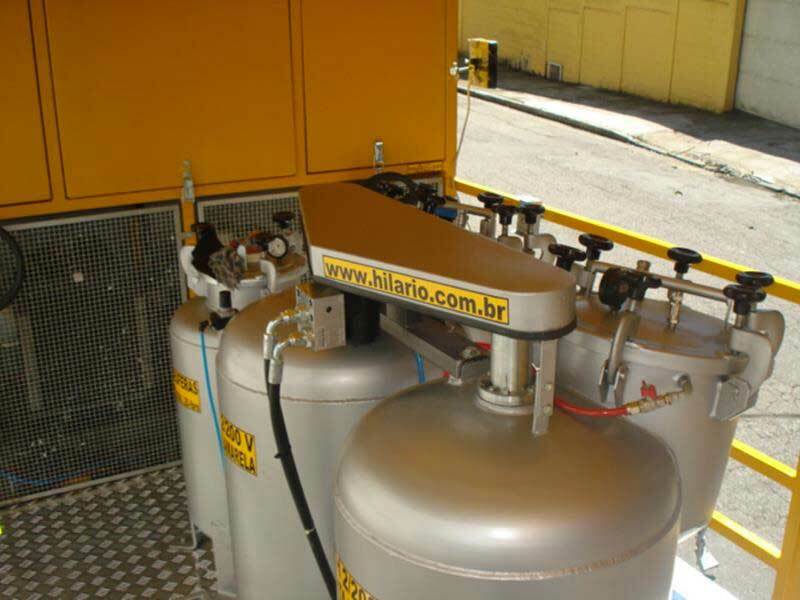 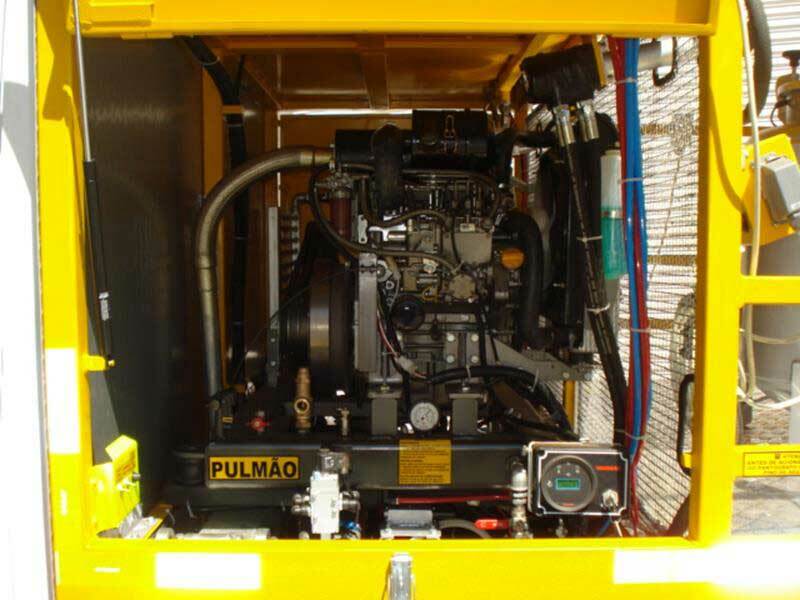 80PCM compressor, 4-cylinder, pressure 120 lb / inch. 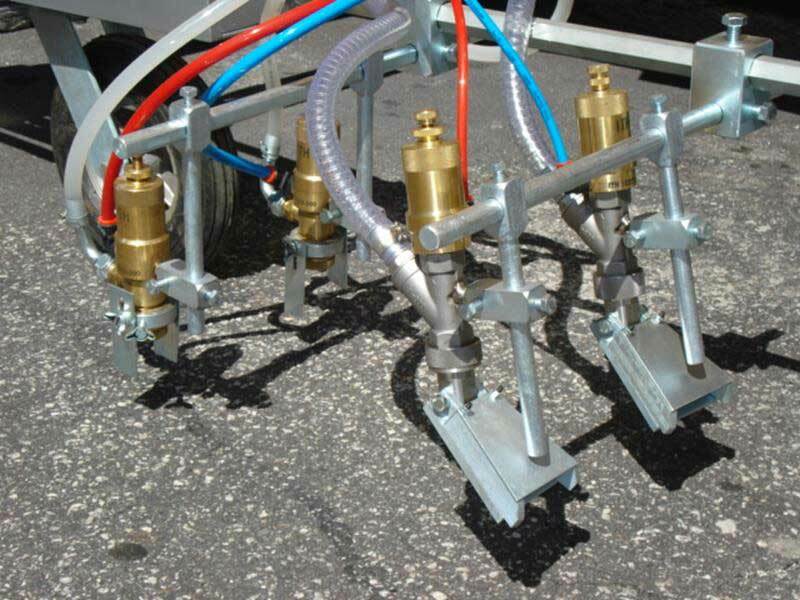 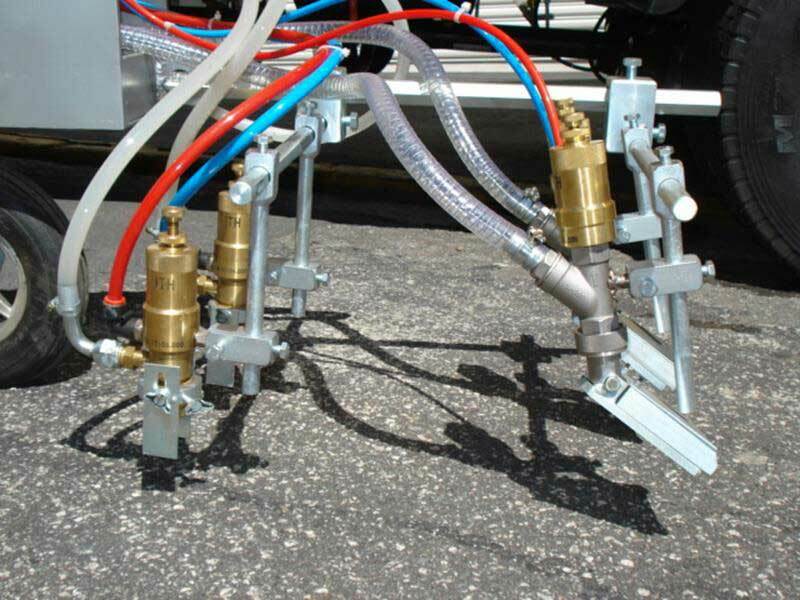 One manual gun with 10 meters of special twin hose for air and ink. 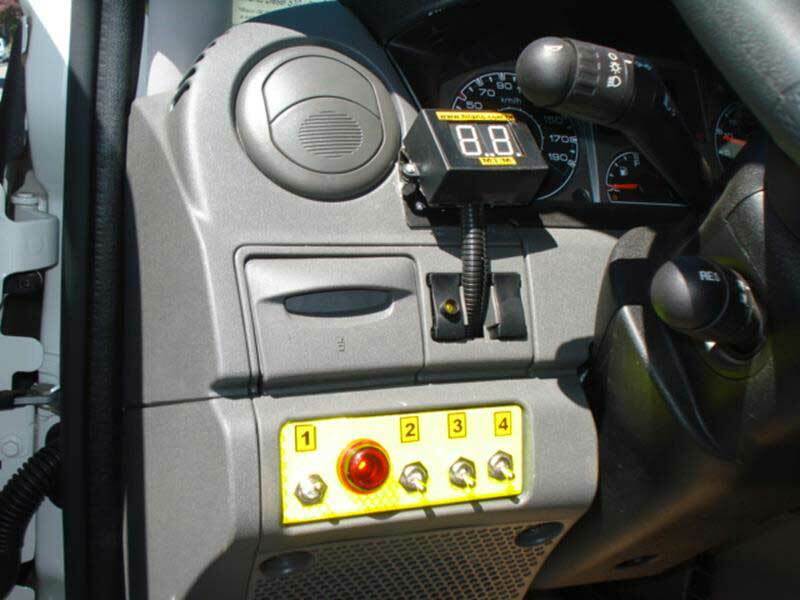 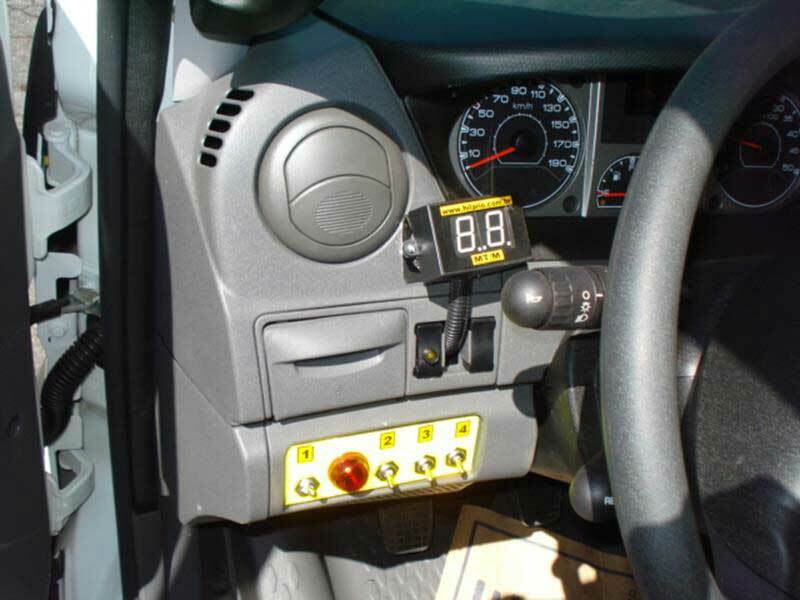 Automatic interface - Electronic with 10 pre-set measures, and the variables unlimited.